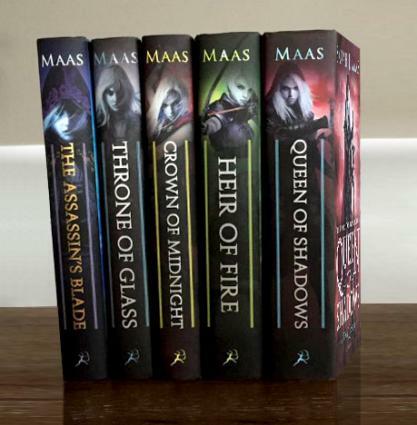 The Throne of Glass Series currently features five books written by Sarah J. Maas. The sixth book of the series is due to hit bookstores in September 2016. This New York Times Bestselling series follows the journey of teenage assassin Celaena Sardothien as she fights for her freedom, friends, and the fate of her world. 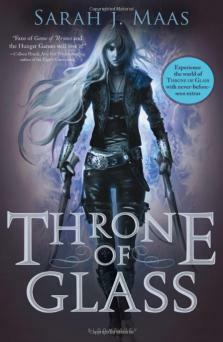 Published by Bloomsbury, the Throne of Glass Series is considered young adult fantasy and recommended for ages 14 and up. The books have won many accolades, including the Young Adult Library Services Association Best Books for Young Adults award. The Throne of Glass Series includes a prequel, four currently published chronological books with a fifth due in Fall 2016, and a coloring book. 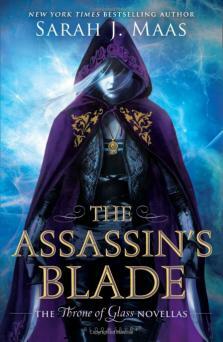 The series prequel, The Assassin's Blade, is just under 450 pages and serves as an introduction to main character Celaena Sardothien. This collection of five novellas chronicles the missions Celaena's boss assigns her to undertake. In this book, readers are introduced to the dangerous love story that unfolds between Celaena and her partner, Sam. At just over 400 pages, Throne of Glass follows Celaena as she fights for her freedom from the slave camp in which she is imprisoned. 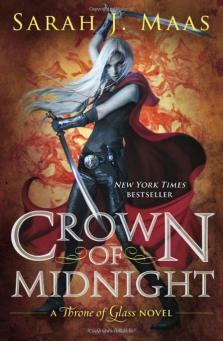 All she has to do is defeat dozens of the world's most dangerous criminals and Celaena will become the King's Assassin. As she fights for this quasi-freedom, Celaena discovers an evil threatening to destroy the entire world. Considered the second book in the series, Crown of Midnight follows the storyline as dangerous forces threaten Celaena's world. In her fight against evil, Celaena must decide who holds her loyalty and who she can trust. The entire book is under 420 pages. 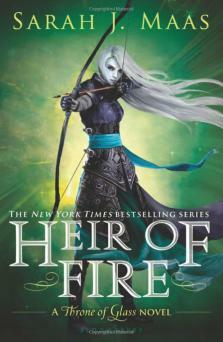 In book three, Heir of Fire, Celaena avenges the death of her best friend by trying to destroy the King responsible for the death. Along the journey of revenge, Celaena discovers her true identity - one that is greater than she ever imagined. This book is significantly longer than the previous ones at over 550 pages. Acknowledging her new identity as Queen, Celaena must fight for those she loves before reclaiming the throne in Queen of Shadows. This stands as the longest book in the series with almost 650 pages. In Empire of Storms, Celaena embraces her new identity as Aelin Galathynius and takes off on a quest to keep evil from ruling her world. Author Sarah J. Mass first wrote the story that would become the Throne of Glass when she was 16 years old. This series, along with A Court of Thorns and Roses Series are critically acclaimed earning the titles of New York Times and USA Today Bestsellers. Sarah is also the co-author of a free online space opera called the Starkillers Cycle. This exciting fantasy series offers profound messages about self-discovery but is recommended for older teens due to some of the graphic content. One reviewer reports violent combat, frequent profanity, and a gruesome description of dead bodies. Due to the fast paced drama and intrigue, this book will appeal to fans of the Divergent series or the Hunger Games trilogy. Adolescence is a time of great discovery for most teenage girls. 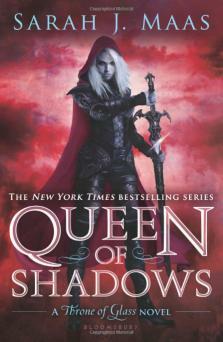 The Throne of Glass Series offers a glimpse of what self-discovery means. From tragic love stories to testaments of friendship and loyalty, this series gives young girls a strong female lead to look to for inspiration in overcoming real life struggles.